I am thinking about sentences. 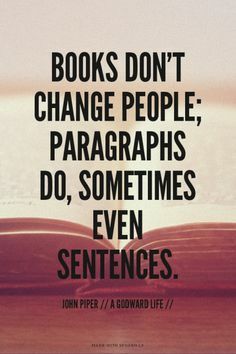 Reading student essays can be a joy or a chore. A really long never-ending chore. This time around, it’s like scrubbing the tub with a cotton ball after a team mud race. With almost every essay, I’m scratching my head wondering how a student gets to be in 10th or 11th grade without learning how to write a clear, concise, complete sentence. Just give me one I want to say. We could work with that. So today, I am thinking about sentences and how to help students think about what they want to say before they ever lift their pens. And how talking about their thinking will help with their writing. I am reminded of the importance of reading. Students must read and read a lot. We must teach them to notice how writers construct meaning by linking words into sentences. We must encourage them to talk about what they notice. I’m thinking there’s more than one meaning here. I am reminded of the value of mentor sentences. We must expose students to a variety of single sentences and help them talk through what moves the writer makes in each of them. Word choice, structure, details, figurative language: we must help our students understand how and why writers make intentional choices as they craft meaning. Then, we must encourage them — and give them time — to practice crafting with intention on their own. I am reminded of the need for conferences. We must make it a habit to talk with our writers one-on-one, regularly. The more we speak with them as writers, the more they will develop the identities of writers. Writers take time to craft their sentences. I recently read this post “5 Ways to Write a Damn Good Sentence,” and I am going to work these tips into my instruction the next few weeks as my students work on their final writing project. I am also going to find some mentor sentences that model each of the first four tips. We’ll practice the fifth one. Next fall, I will not wait so long. I love this. There are so many moments, particularly with my freshmen, when I stop and reflect on the quality of their sentences. I think the focus should ultimately be on quality instead of quantity in the end. Sooooo, can you please come sit with me in my classroom and be a cheerleader, spurring me on with encouraging words and the reminder that it is never too late to be better? And that I’m only as stagnant as I choose to be? And that there is always something to celebrate? Can you do that for me? Oh wait, you kinda already do. I love getting the TTT posts in my inbox, and I always find some nugget of wisdom, encouragement, perspective and/or direction that I can re-center my thinking and purpose to make today better than yesterday. And try something new tomorrow without sacrificing what I know-that-I-know-that-I-know to be just damn good teaching. Whitney, you are awesome. Your students love you, and they know you love them. That’s about as good as it gets. Thanks for the comment, my friend. Love, Love, Love this entry!!! One of our teachers wanted them to expand their writing and when I got them in 5th, I had to work so hard to encourage concise, WELL-WRITTEN sentences! !